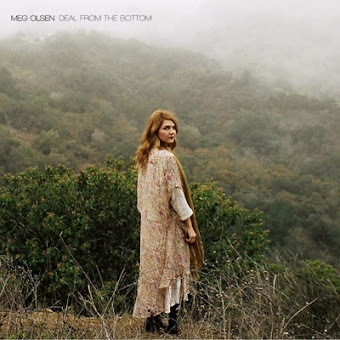 Los Angeles-based singer/songwriter Meg Olsen has just released her debut EP – Deal From The Bottom. 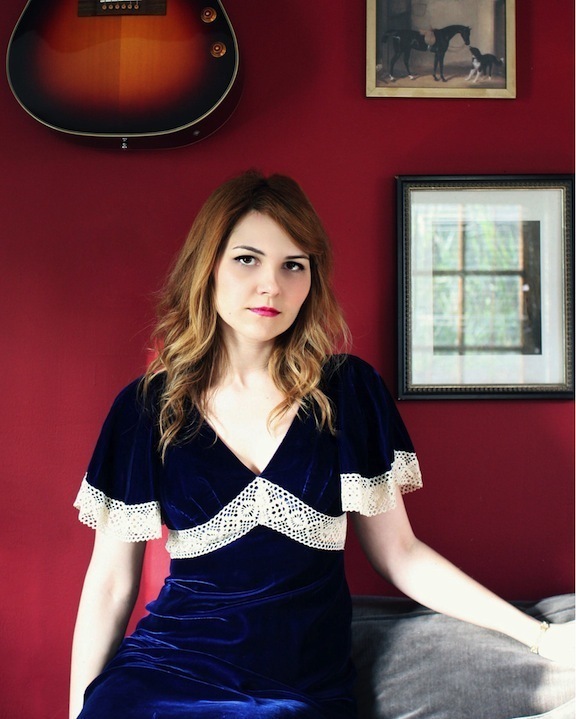 The five-track record is simply gorgeous – cinematic, country-pop, where twangy guitars meet haunting organ sounds. It’s like Mazzy Star, hanging out in a late-night bar for the lost and the lonely. There’s even a splendid cover version of Morrissey’s Suedehead thrown in for good measure, too. Congratulations on Deal From The Bottom. Can you tell me how it came about? Thank you. This EP is my first solo release and I am so thrilled to get it out there into the universe. I have been writing songs for ages, but had kept them to myself for the most part. Looking back, I think I was just painfully nervous about how people would react. What really got me over some of that anxiety and out of the protective shell was collaborating with other artists. A couple of years ago I started a 1920s inspired cabaret act called The Dime Store Dollies with a wonderful group of artist friends. It was an environment that felt safe enough to share my ideas in and was such a great learning curve as an artist. Then last year I was asked to sing backup for Canadian artist Lucette, while she supported The Secret Sisters on their UK Tour. We played iconic places like the Union Chapel and that was such a liberating experience for me. Those things really added fuel to the fire and made me realise that it was time to just go for it with my own songs and forget about how people may or may not respond. Where did you record the new record, & who played on it & produced it? We recorded it at Bad Transmission Studios in Los Angeles, with producer Daniel Dempsey (Until June, Jamestown Revival). 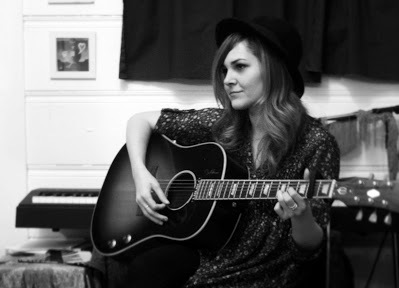 The recording process for this EP really felt like a family affair – Ian Webber, my boyfriend, played most of the guitars; Dominic Massaro and Sam Gallagher who played bass and drums, respectively, are both close friends and great musicians who I’d worked with before. I played all of the keys (piano, organ, Wurlitzer) and we had a few other fantastic guest musicians who came in to track various bits and pieces. The EP has a moody, traditional country sound to it, but with a gorgeous, smoky, cinematic feel in places (Corners of Bars, Smoke and Mirrors, the title track), too. It often reminds me of Mazzy Star. How do you feel about that comparison? Well, I think there are far worse artists to be compared to. I’ve always liked Mazzy Star and a lot of that Paisley Underground-era music, so I’m really just flattered by the comparison. That said, I do think the songs have something different going for them, perhaps a bit more twang and more pop to them. We definitely wanted to achieve a moody vibe though, so I’m glad that is translating. Can you talk me through the four original songs? Tell me a little about them… What were your inspirations/ starting points? I wrote the four original tracks on my own, on either piano or my guitar. When it came time to choose songs for this EP, I asked Ian (guitarist and lead singer of The Idyllists) to help me demo a handful of songs that I thought I might want to include. Deal from the Bottom and Corners of Bars were going to be on the EP from the very beginning and once we had the demos, I narrowed it down to two others, which just seemed to fit. As far as inspirations, I consider myself a very emotion-driven songwriter; writing has always been a way for me to process things that are happening to me, going on around me, or even just stories that I’ve heard or read about that bring up some sort of visceral reaction. That said, sometimes a chord progression, a lyric or melody will just come from nowhere and that will serve as a starting point, so my writing process is a bit of a mixed bag. I’m so glad you like it. That means a lot coming from a true Morrissey fan. I was a little nervous about it, being a fan myself, but I love the song and it was always high on the list of cover ideas. Once the band got into the studio and we started to work it up, it just felt like the right choice. I was inspired, in part, by The Smiths’ covers that Sandie Shaw did in the mid-80s. Her voice really brings something else to those songs and I sort of had that in mind when we set off on this somewhat daring mission. Are you a big Morrissey fan? Would you like to meet him? I am a total fan. I’ve seen him live several times, in fact, I was in the front row at the Earls Court show in 2004 – the one they recorded for the live album. What an amazing show. As for whether or not I want to meet him…man, that is such a dilemma for me. Not just with him, but with any of my musical heroes, really, because I don’t want my adoration to be tainted by a disappointing encounter. I’ve heard some crushing stories from well-known artists about run-ins with Morrissey and it would seem that he’s not always the most gracious person. But perhaps if I expect the worst going in, I could be proven wrong. Have you any plans to record a full album? There are plans to do some more recording in the near future and to release a full length hopefully towards the end of 2013. Nothing is official yet, but I definitely want to get back into the studio soon. Any live shows coming up? Will you be visiting the UK? I have an official EP release show coming up in Los Angeles on February 19th and there are a few other West Coast dates in the works. I do usually get over to the UK about once a year, so there is a definite possibility of a UK gig in 2013. Fingers crossed. What music – past and present – are you currently into? This is a bit clichéd, but I listen to a ton of music, so it’s very hard to narrow it down. I do love the Father John Misty album and have been listening to it a lot over the last six months, so I was excited to see it in your list of the best albums of 2012. I’ve also been listening to the Cocteau Twins, Ryan Adams and a whole lot of 1960s French pop. Were you a musically talented child? I don’t know that I would call myself a musically talented child… I mean, I loved to sing from a very young age and I used to put on “concerts” for any adult who would humour me, but I was by no means a musical prodigy. My parents did put me in classical Spanish guitar lessons when I was seven, which was not the right fit for me… at all. My little fingers were like noodles and there was this poor 50 year-old Spanish guy just trying to teach me Jingle Bells! It was a lost cause. I basically wrote off the guitar for years after that, until my late teens when someone showed me a few standard chords and really opened things up for me. How do you see the rest of 2013 shaping up for you? Honestly, people are being so receptive to this EP already and that has been a wonderful start to 2013. I would love to get my music out there to as many people as I can. I can’t wait to play more live shows and tour around a bit. Then obviously to work on new material and to make the full length record. Will you be spending any of it hanging out in the corners of bars? All signs point to “very likely”. INTERVIEW: "I felt that Gene Clark has been dealt a bad hand by history - that’s always struck me as being a grave injustice"